“I always wanted to be an actress, it made me happy but my father said do anything you want to do but not acting please,” she said in the beginning. “My mother said, if you want to act then get married first. You can do whatever you like after that, we can’t take this responsibility,” she added. In her talk titled “Power of a single decision” Zara discussed how in her attempt to pursue her acting passion she married the wrong guy three years ago. While Zara soon realized her mistake and got divorced, it was only then she realized her true worth. “My mother was diagnosed with cancer, I had to be with her and also maintain my sanity which I was losing because of divorce and the barriers imposed on me by the society,” Zara narrated her story. “The society said about me, ‘oh she’s an actress, her mother is too, she’s also niece of an actress, she got divorce? Yeah, an actress is supposed to get one’,” she opened up on stage. However, after locking herself for three days in a room and crying as meditation Zara said she felt lighter when she came out. That’s when she realized, before doing anything in her life for anyone she needs to understand and accept herself as what she is. 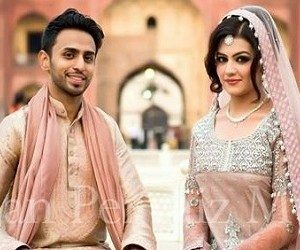 Soon after, she got married to Asad Siddiqui who had himself gotten divorce a while ago. “Our families had discussed this prospect long ago but then we went on two different journeys, but guess what it had to be,” she said with a smile.